Celebrate the spirit of creativity in the Adobe community. The Adobe Remix invited a broad mix of creatives to express what Adobe means to them through their work. We asked them to play, experiment, hack, make, socialize, datafy, dimensionalize, illustrate, and mashup the Adobe logo any way they see fit. 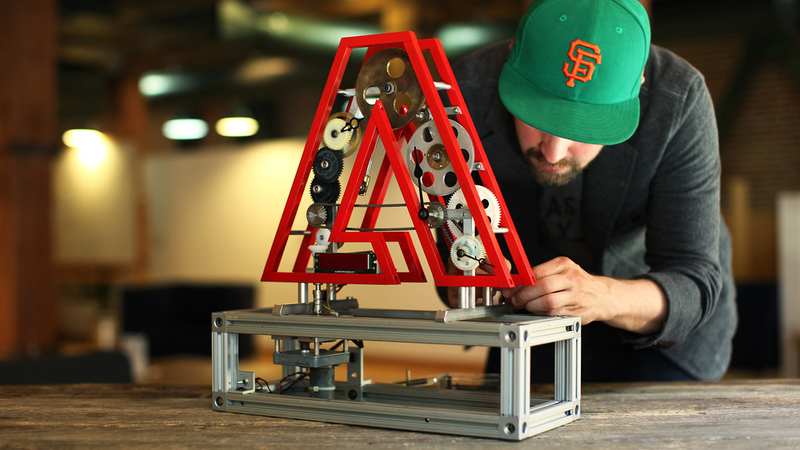 We kickstarted the project with a remix of our own - the Adobe clock. We shined a light on the delicate relationship between creativity and time by designing and building a working clock in 24-hours, using the logo as inspiration. Hundred of thousands of views and likes later, the clock now greets visitors at Adobe's front lobby. Other inspiring artists and projects followed suit - you can check them out here. When an idea is born, the clock starts ticking. That time is yours. To tear your idea apart. Feel the grooves. Reshape it. Rebuild it. Let time push you to do the things you didn’t know you could. As artists, time defines who we are and what we make.